Despite their lack of demands, it’s been fascinating to watch the growth in Occupy Wall Street protests (in the US and abroad). As someone long puzzled that the US don’t object more to the uneven distribution of wealth, it is heartening to see many Americans taking the issue of inequality to the streets. The effort has been incredibly effective at putting the issue of “income inequality” (the 1% vs. the 99%) on the table, but far less effective at effecting change. Participants’ concerted public representations for themselves or constituents of their worthiness, unity, numbers and commitment (WUNC). 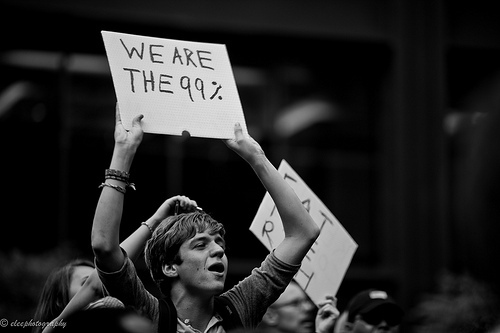 Along these three criteria, Occupy Wall Street merits mixed success. 1a. sustained campaign: so far Occupy Wall Street has been going for 6+ months but their momentum has fallen sharply from their original days [their funding is running short, contributions have slowed dramatically, public support for the movement has gone from 54% approval in an October 2011 TIME poll to 71% disapproval in an April ABC/WSJ poll. 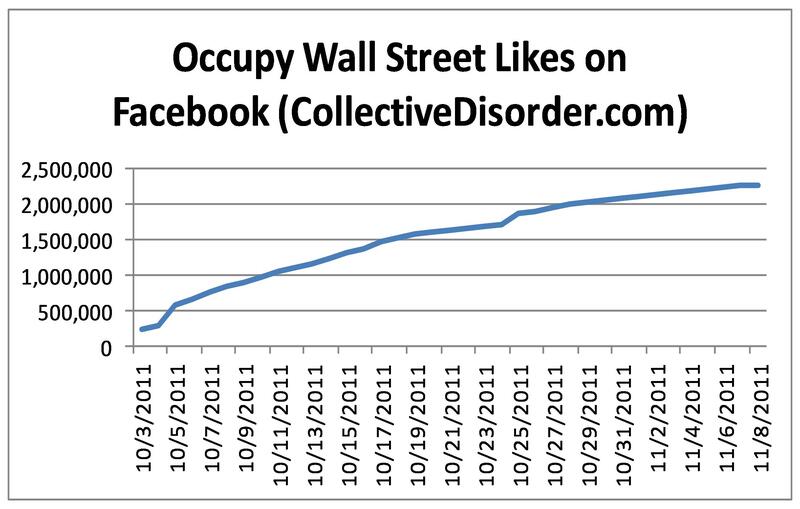 Social media interest in OWS has fallen: there were 20-60 tweets a minute in October (hitting a peak one night of 1500 tweets a minute) using the hash tags #occupy and #OWS; that flow has fallen by June to 5 a minute and some of these concern an Oregon Wildlife Campaign. The number of sites has dissipated dramatically. The ouster of protesters by police in places like NYC, Oakland, Portland, Denver, and the like, seems to have substantially dissipated their numbers. And violent confrontations with police in places like Oakland have undermined broader support for the Occupy movement. 1b. 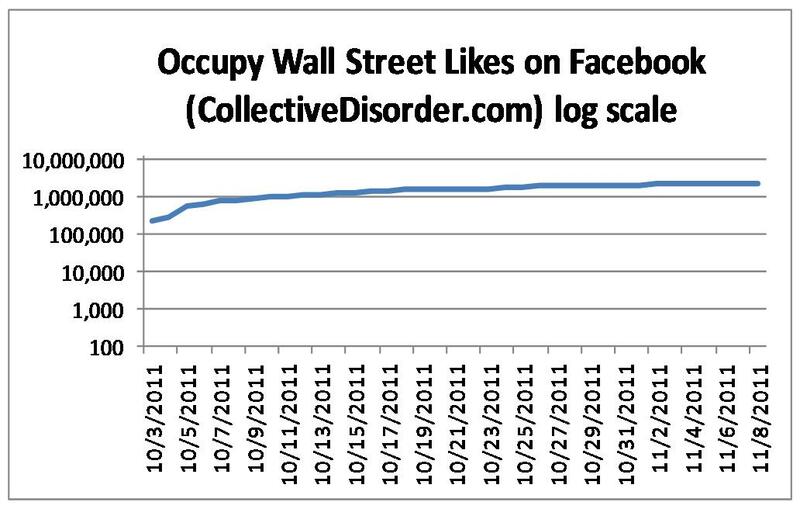 organized: so far Occupy Wall Street is highly unusual in their self-organization. They do not have leaders. They don’t even have megaphones so they resort to people around a speaker physically amplifying a speaker’s comments by repeating it in unison or developing hand signals to show approval/disapproval with comments. OWS certainly is organized as far as things like the provision of food, having various committees, etc. 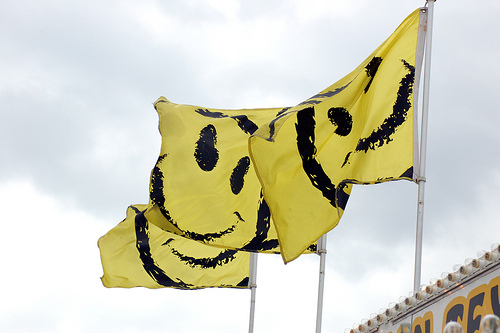 While there was no leader to the OWS protest, it was the brainchild of Adbusters, and based on the Arab Spring protests and designed to be a US-based Tahrir Square, but having called people to protest, they have remained fairly hands-off. Note: it’s worth reading the interesting “Pre-Occupied” on the history of OWS and ongoing involvement of Adbusters. 1c. demands: so far, there are no demands that Occupy Wall Street has made of the government, of Wall Street, etc. In fact some (like Bill Clinton) are criticizing OWS for not having made specific demands, although in some ways it makes it easier to sustain this amorphous “movement” by being potentially all things to all people and being a vehicle for people’s general anger. They have now formed a committee to try to develop demands. Many of their demands like “an end to Wall Street greed” seem relatively unachievable without a cap in pay on Wall Street (which seems very unlikely). Other possible goals like writing down student debt for unemployed students might be more achievable. Derek Thompson, writing for The Atlantic claims that the mid-November ouster of OWS from Zuccotti Park is a good thing because it enables the protesters to reformulate their movement and focus on a central demand: “Whether or not the protesters return to their tents, New York police have given them a chance to lift up, take stock, and pitch their energies in an issue worth occupying. Writing for The Atlantic yesterday, Sara Horowitz reached back into the Industrial Revolution protests that culminated in the Eight-Hour Day Movement. From a “massive, inchoate, messy movement emerged a central demand: an eight-hour workday,” she wrote. And that eventually led to Fair Labor Standards Act as part of the New Deal in 1938. “What should be the Eight-Hour Day Movement of the moment? Maybe they should focus on student debt reform. Today, student debt lives with you until you die and cannot be unwound in bankruptcy court; perhaps it should be. Maybe they should focus on the minimum wage, which has declined in real value for the last few decades. Maybe they call for repealing the Bush tax cuts, a savvy request that would represent broad sacrifice (it would raise taxes on almost all households, but mostly at the top) to demonstrate to Americans that the movement is willing to sacrifice for its ultimate goals. There is also welfare reform, unemployment benefit support, and other platforms that would aim to support the least well-off.” Such demands don’t require a physical base. In total, on dimension 1, given how short this protest has lasted and the current lack of demands, I’d give them a C+ on this. 2. repertoire: OWS has largely resorted to rallies thus far, but they have had a couple of marches (to places like Times Square). They make wide use of social media, including the Internet, Meetup, Twitter. They have a website (Occupy Together) that charts their efforts in other cities. They use protest signs, music (although often more entertaining than protesting). I’d give them a B+ on this front. 3. WUNC: they clearly have made a general statement that government has been there during the Great Recession much more for the 1% than for the 99% (Wall Street at the expense of Main Street). Moreover, their message appears to be resonating, in terms of number of actual and inchoate demonstrations, number of Facebook sympathizers, and views in the general public. As noted in a lack of their demands, there is relatively little “unity” and their “numbers” while growing are still relatively small in any one site. As to “commitment”, it certainly appears that some of the protesters are there for the long-haul, sleeping there overnight, but their numbers have dramatically fallen. I’d give them an C- on this dimension. If this chart to left is put on a logarithmic scale, one sees that the rate of growth dramatically slows after 10/7, even with an action (registering a “like” on facebook that is quite easy). By June, 2012, there were only 167,000 Facebook likes. I think the growth on Meetup is much more real, but many of these locations are currently inactive (see below). – number of actual and inchoate demonstrations. There is not great data on this. Nate Silber had an interesting post on 10/17/11 about the size and geography of protesters. Meetup charts the current number of “occupiers” by location, but this is likely an overestimate since some/many(?) of these “occupiers” may not show up on a given day and an underestimate since it only includes people registered on Meetup (and not their tag-along friends or people who see a protest and join in). Syd Tarrow, a pre-eminent scholar of social movements defines them as “collective challenges to elites, authorities, other groups or cultural codes by people with common purposes and solidarity in sustained interactions with elites, opponents and authorities.” Along this definition, the OWS movement would have to wrestle with proving that they are sustained (see above), that they have “common purposes and solidarity” (see above) and “collective challenges” when they have yet to present any unified demands. Moreover, the OWS movement has been less about interacting directly with elites, opponents or authorities (other than fighting off arrests or threats to clear them from Zuccotti Park). Where OWS may be more successful as a quasi social movement is to the extent that they get political leaders to stand up and take notice and change their policies accordingly. On this score, time will obviously tell, but they have tapped into a period of fundamental and widespread feeling of malaise and lack of economic confidence about the future. For a primer on Occupy Wall Street, see this LA Times piece and see this CBS piece comparing the actual distribution of income in the US against what respondents think the distribution is and what they would desire. There is also an interesting abridgement of a Scientific American article on attitudes/behaviors toward income redistribution in the US. Note: Jeffrey Sachs calls OWS “The New Progressive Movement“, but he is far looser about using the term social movement. – From analysis of 5,600 completed surveys at occupywallst.org, fastcompany concludes that the typical protester is white (82%), male (61%), college-educated (61%), has a political affiliation of “independent” (70%), is 25-44 years old (44%), has a full-time job (47%), has income under $25,000 (47%) although 30% have income over $50,000 and 2% have income over $150,000, and about one quarter of them have attended occupation events previously. Other demographics here. – And an interesting article about how the Teamsters are allying with Occupy Wall Street around shared goals.